Give your text an extra depth. Traditionally, the Photoshop Style was the tool designers used to share their text effects. But these days the Smart PSD has become the new weapon of choice for sharing pre-made effects. 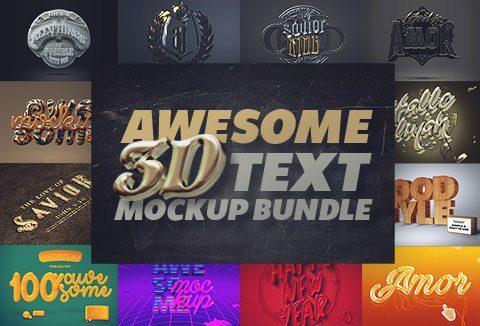 Here's an amazing 3D text mockup bundle consists of 20 PSD templates that will give your designs an extra depth and make them stand out. DealClub member? Grab this 3D text mockup bundle worth $330 absolutely FREE!